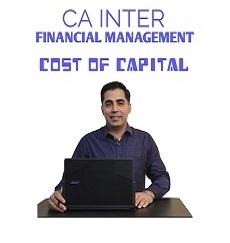 Cost of capital is one of the most important chapters of financial management. This course contains around 15 videos covering more 80 questions and all concepts with derivations . 2) Recorded Videos of class lectures will be provided. Softcopy(pdf) of Notes will be provided on our registered email id.